Well you have heard it here folks… We are nuts! That is... for our dear friend coconut oil that we sure can’t get enough of. It’s a super star in a variety of our products for its incredible silky smooth finish and nourishing properties. You can find it featured in our EYES and LIPS collagen packs and also the MVP in the organic BALM for lips. 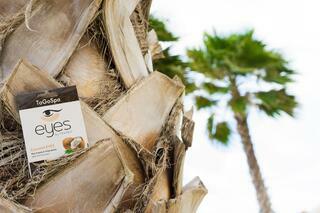 Why it works in our Coconut EYES: Our eyes are the window into our soul, so we have to take care of the frame. Making sure the skin under your eyes is plump and moisturized should be the first priority when it comes to making your eyes pop and glisten. 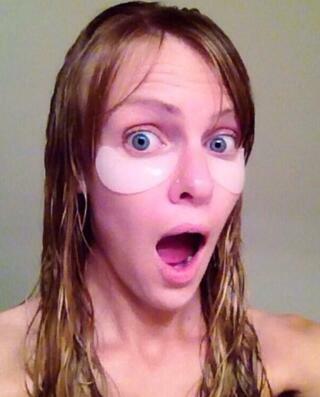 The cooling patches provide intense hydration from the coconut extract and allantoin. Not only do the patches create results, the intoxicating aroma provides the perfect staycation for any at home spa experience. Our favorite way is popping the patches in the fridge pre treatment and pairing the experience with sips of sweet coconut water. 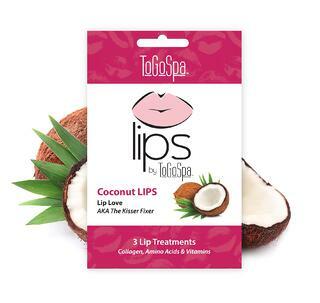 Why it works in our Coconut LIPS: Must we never forget to hydrate our lips again! Especially in the dryer months our precious puckers can be cracked and chapped, but look no further. You only need 20 minutes with the application over your lips for a complete re-hydrating treatment. The Hyaluronic Acid, Vitamins C & E along with the coconut oil work together to improve the overall appearance of the lips, improving elasticity, texture and fine lines around the mouth. 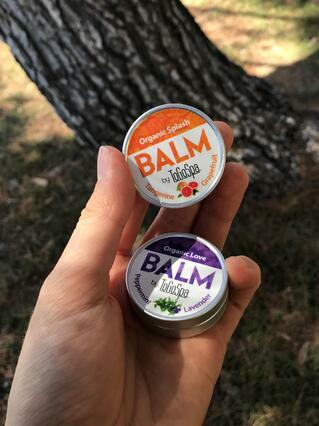 Why it works in our Lip BALM: Forget the tubs of vaseline, our BALMS are only 100% natural and contain all organic ingredients including jojoba, evening primrose, sunflower and of course coconut oil. The ingredients deeply hydrate and protect your lips from moisture loss and the rejuvenation Shea butter and vitamin E moisturize and condition skin, helping to soothe dry, chapped lips. We have a soothing Peppermint and Lavender blend and a zesty Tangerine and Grapefruit mixture. Reduces Inflammation: This means it supports the natural process of bringing relief to inflamed joints, muscles and your skin. If you're feeling puffy in your body or face, eating some coconut oil may not be a bad idea. Yummy! Immune System Boost: Ditch the OJ next time you're under the weather, or even the slightest feeling of becoming sick. The oil contains lauric acid which is known to fight bacteria and create a clean environment inside your body. Adding the heathy fat into your diet isn't a bad idea around cold and flu season. Use coconut oil in your next stir fry! Healthy Brain and Memory: Our brain is made up of 60% fat so it’s important to make sure our diet includes only the best forms of it. Improves Skin Irritations: Including conditions like burns, eczema and dry skin. Ingesting the oil will improve your body inside out while applying it directly to sensitive areas will improve it from the outside in. Why not both? 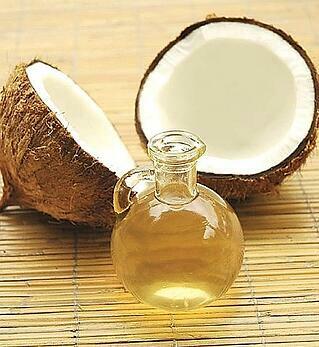 Benefits Hair: Next time you're enjoying your at home spa treatment with either the Coconut EYES or LIPS, apply a generous amount of coconut oil to your hair for a homemade mask. Be careful when you lay down by throwing a towel behind your head so the greasy hair mask doesn't get on your pillow. Coconut oil + coconut sugar + cinnamon = Perfect topping for popcorn next movie night!